Although not a country with lax immigration rules, if you want to live and work in Denmark there are certain routes which can provide a means to enter. If you don't already hold a Danish passport, the Greencard scheme can be an excellent way of getting a visa to live and work in Denmark. The Greencard scheme is aimed at qualified and skilled professionals and is an individual assessment which is based on a points system. Each person receives a score based on the likelihood that they will be able to secure work in Denmark; a minimum of 100 points is usually required. There are a variety of factors which are used to determined whether you will meet the criteria to live and work in Denmark under the Greencard scheme such as language skills, level of education attained, age, adaptability and past work experience. The educational requirements under the system to live and work in Denmark can sometimes be somewhat confusing. Any individual applying to live and work in Denmark under the Greencard scheme must hold the equivalent of the Danish Batchelor's Degree. However, this doesn't mean all types of Batchelor's Degree are the same. Different countries issues qualifications with the same name but at varying educational standards. For example, a Master's Degree from a Pakistani university is usually assessed as being the equivalent of a Danish Batchelor's Degree. If the level of education bestowed by your qualification is not clear, you can arrange for it to be evaluated by the Danish Agency for Universities and Internationalization. Ultimately, if the degree you hold is deemed to be lower than a Batchelor's Degree in Denmark, you will not be able to qualify under the Greencard scheme, regardless of how many other points you get. In addition to scoring sufficient points under the system, you must also be able to provide evidence that you will be able to support yourself financially whilst you are in Denmark. 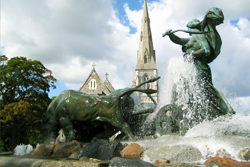 You must also not receive any funds or public assistance for the duration of your stay in Denmark. If you are planning on traveling with family members, you must be able to document that you have sufficient resources to be able to take care of them too. Finally, before you enter the country you will be asked to prove that you have full medical health insurance to cover you (and any family members who are also traveling) until you are eligible for Danish National Health Insurance.